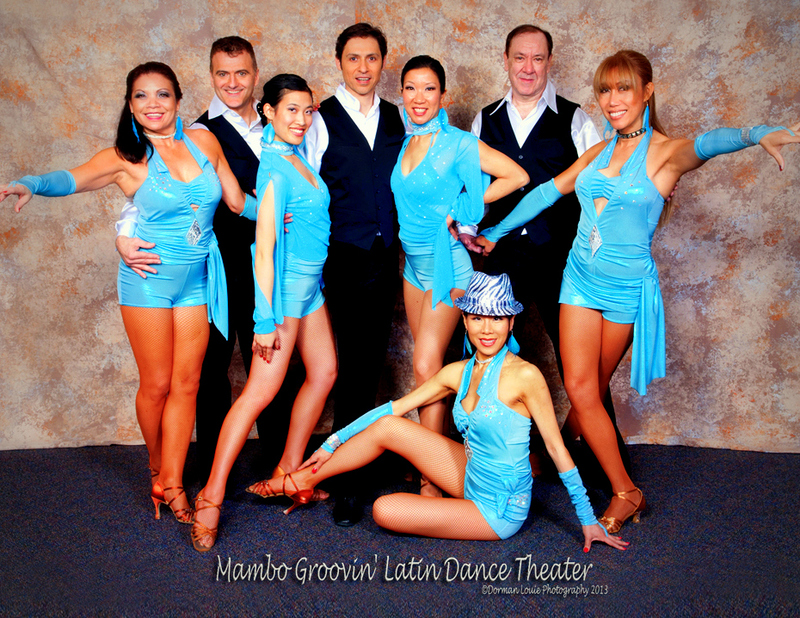 Mambo Groovin’ Latin Dance Theater was born on September 11, 2011 as a weekly open class based out of San Francisco. Focusing on the development of Afro-Carribean rhythms and body movement, the class sought to capture the body’s natural movement based upon a solid foundation of spinning technique and solo shines. The Mambo Groovin’ class soon brought together an experienced group of Mambo dancers and debuted choreography in October of 2011. Directed by Sandy Chao, the team is now one of the top Latin performance groups in the Bay Area, having produced Fandango! production for the SF Presidio Trust in celebration of San Francisco’s 237th birthday, and has performed at major dance events including the San Francisco Salsa Congress and 2013 New York International Music and Dance Festival. Mambo Groovin’ continues to teach students understanding and appreciation for Latin dance through their weekly dance classes. Mambo Groovin’ also specializes in providing full-length dance entertainment, incorporating fun group lessons and dance performances and are available for hire for events of any size.